So I’ve been pretty hard on girls, both white and Asian (and by extension girls of all races) in the last couple of pages. 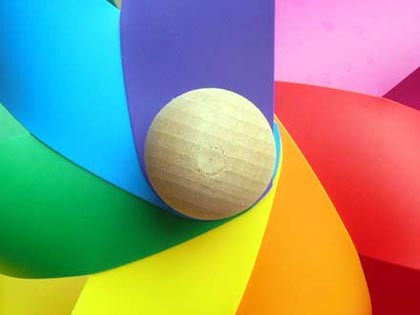 But if you look really deep, really REALLY deep, the issue goes further than that. The fault doesn’t lie totally with the girls or the white guys who go for them – the fault lies in how much Western society hates Asian men. Lest you doubt me, let’s look at some concrete examples. Take a good look at the picture on the right here. Here are some examples of the typical Western outlook on the Asian male, as exemplified by William Hung, and the typical Western outlook on the Asian female, as exemplified by Lucy Liu. Notice a little disparity here? Where the Asian female in Western media is there to appeal to the white male Asian fetishist (or indeed, may have CAUSED the white male Asian fetishist – a chicken-and-egg situation to be sure), the Asian male is there for amusement, whether in a display of martial arts prowess, or simply being something to laugh at. Many people have heard about Abercrombie and Fitch’s racist shirts. 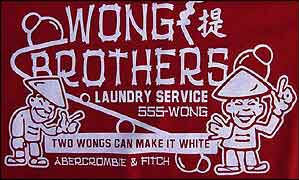 A&F, of course, is one of the epitomes of American white-rich-boy culture, and the fact that shirt designs such as the one on the left even made it out of the planning room, much less onto shirts and into stores across the US, belies the deep-seated racism against Asians (mostly towards the Asian male) that pervades much of Western society. 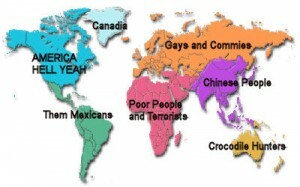 Here’s the typical white outlook on the world. It’s too bad I’m not usually in a mean mood. My buddy Tom (Chinese descent, born in Illinois, lives in Iowa) once got asked “Is she your sister?” by some old white lady after a concert given by a young Asian pianist. I guess we’re all related, right? After all we all have our names determined by throwing silverware down the stairs. Another question I get asked a lot is “Can you read this?” Most white people who ask me this are lucky, because I do indeed read both Chinese and Japanese, and I don’t often get to say “no you idiot, that’s in Korean!” I ought to carry around a scrap of paper with some Cyrillic writing and ask anybody who asks me this question to decipher it. After some thought, the problem might actually be we Asian male’s fault. Why? Because Asians are taught, from birth, not to complain. Asians are the most stoic people on earth. Asians don’t cause trouble. Asians can be subjected to slavery (building the railroads for fat Western white cowboys, the descendants of whom now live in Texas and the White House) and concentration camps (WWII internment camps, anyone?) and we STILL won’t complain. As a result, Western Society doesn’t even consider us a minority anymore. Tom once applied to a minority scholarship sponsored by AT&T which specified that the competition was only open to “blacks, Hispanics, Native Americans, or female Asians”. What, are Asian males magically not prejudiced against in this country? No, we just don’t count as a minority.